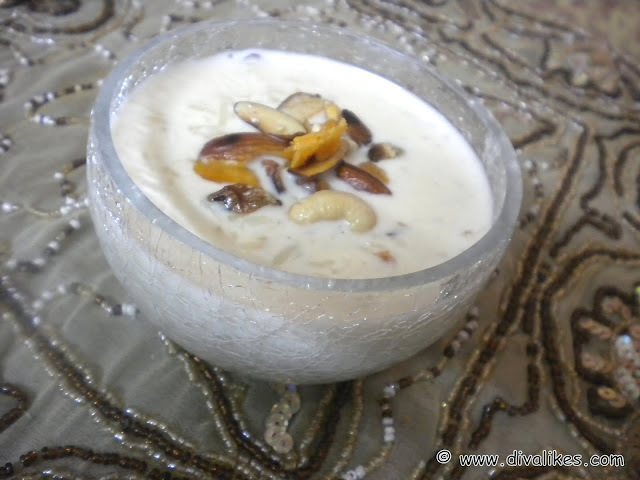 This unique kheer with jaggery brings out a lovely twist to the standard recipe. 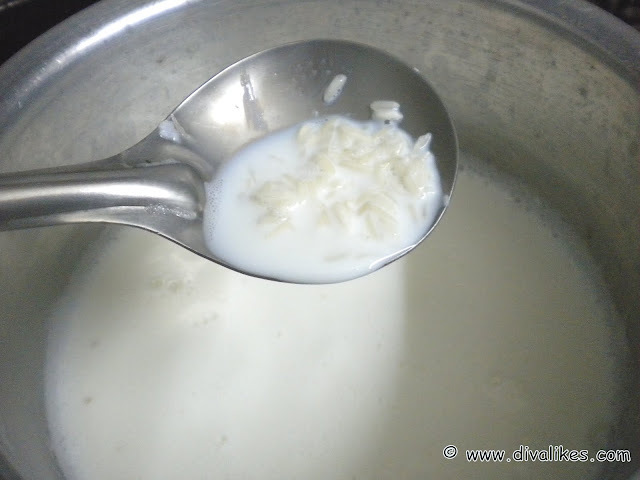 Milk and rice are boiled together and then sweetened with jaggery, which gives this dish a nice golden color and a great flavor too. 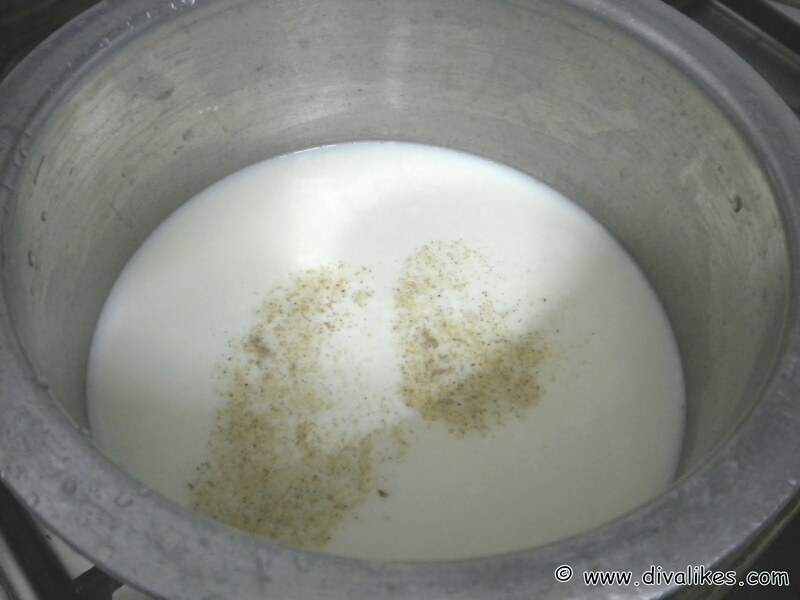 Take milk in a thick bottomed vessel and bring it to boil. Now add cardomom powder and boil for another 2 minutes. 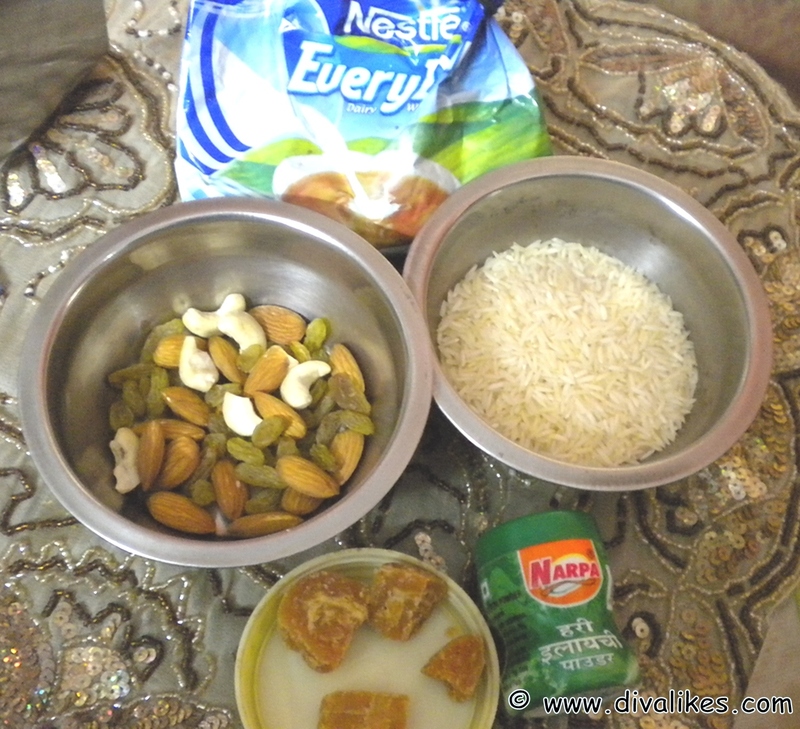 Add soaked rice and cook on a slow flame till rice starts cooking. Keep stirring continuously. 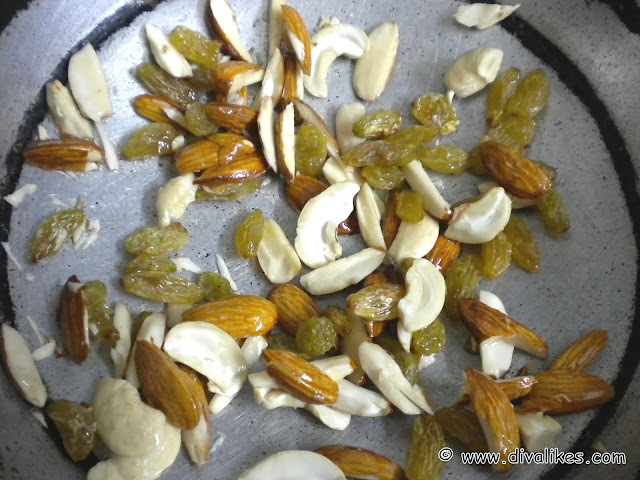 Meanwhile, heat ghee in a small pan and add the mixed dry fruits and saute for a minute. 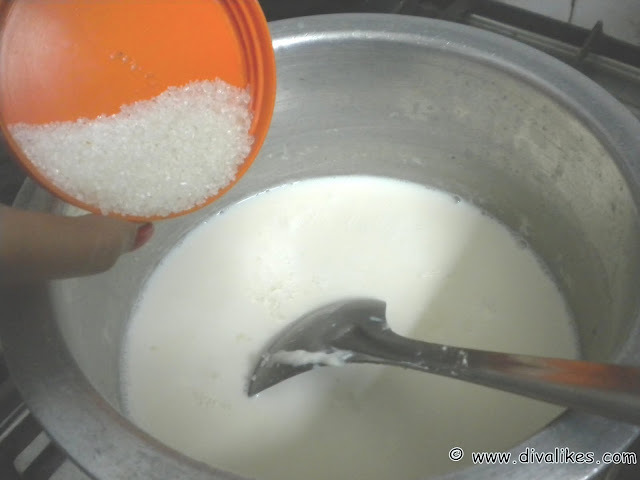 Now add milk powder and let it dissolve in the milk. 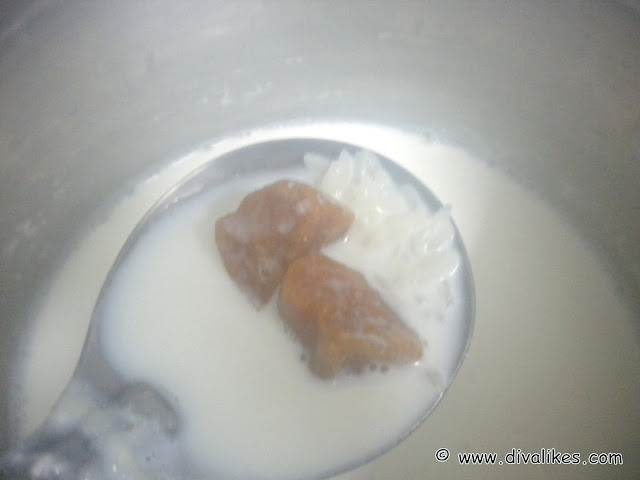 Add jaggery cubes and cook till they melt. Add sugar and cook for another 5 minutes. 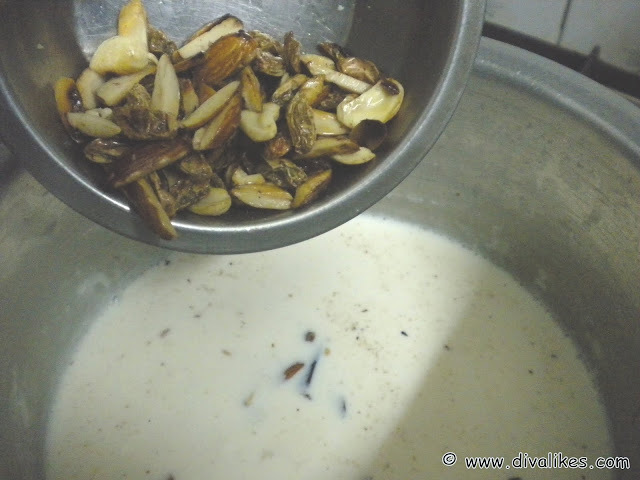 Add these nuts to the kheer and mix well. Garnish with dry fruits and jaggery shavings before serving hot.